When you click search you'll be taken to a results screen that has print books and ebooks mixed in the left column under "Books". 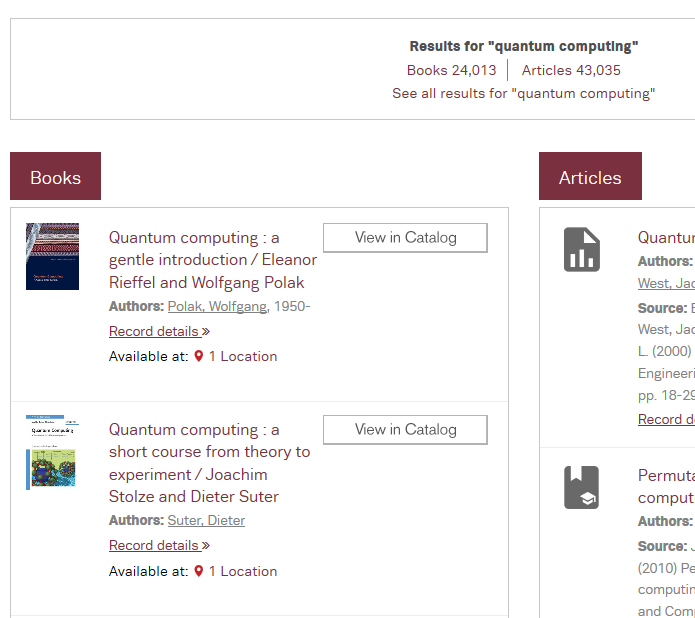 To get to just the ebooks, click on the link showing how many Books results there are for your search term. In this case it's "Books 24,013". Then, on the next page right above the books themselves is a box called "Your Filters". Click the X next to "Format: Books" to remove the print books from your results. You may also browse our various ebook collections on the Ebooks guide.